As this project shifts gears and works toward designing sustainable versions of a bookshelf, I came up with a few ideations that utilize reclaimed and recycled materials. 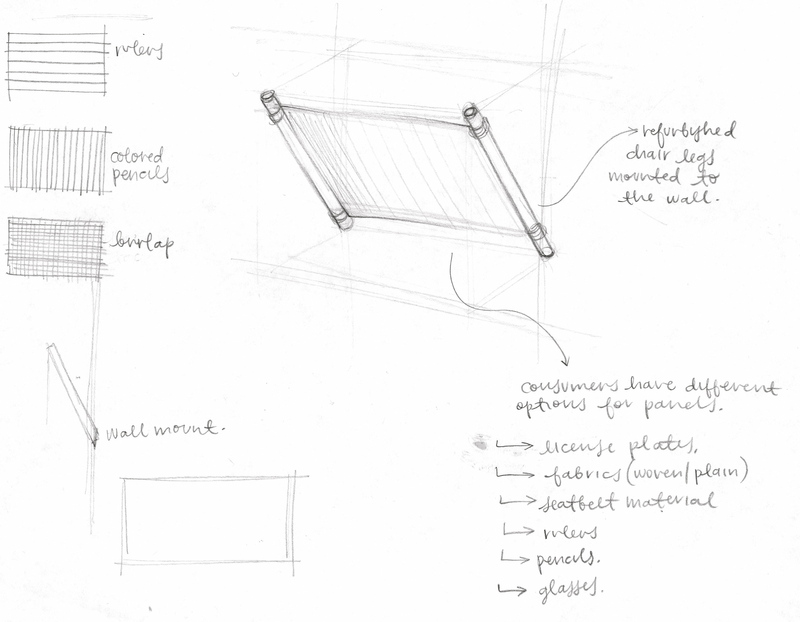 With this first ideation, I thought of the standard wall-mounted shelf, generally made of wood, plastic, or metal. 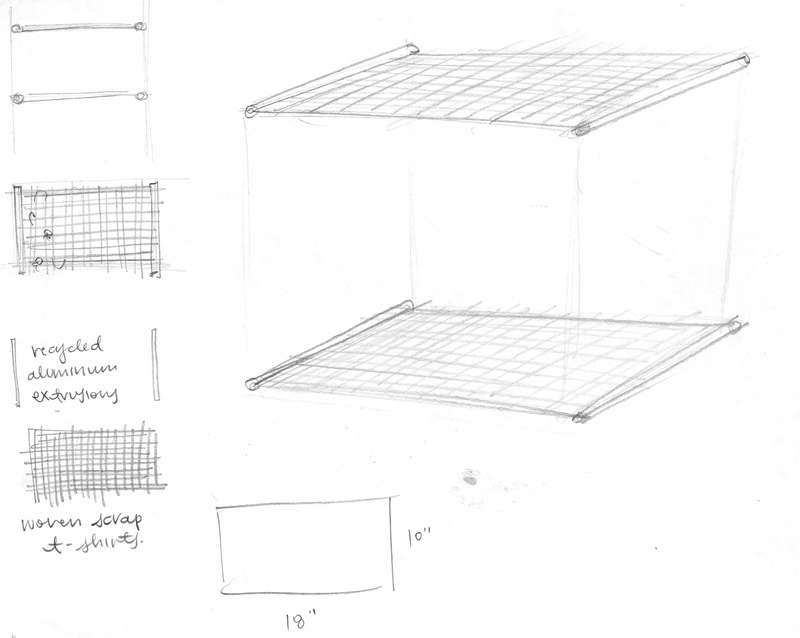 For my design, I would utilize recycled aluminum extrusions with a support made of woven recycled fabrics. I wanted to make sure that I could take advantage of the fabric panels, to experiment with different patterns and textures. This design, I would hope, defies the traditional ‘hard’ nature of the shelf and proposes an unexpected ‘soft’ alternative. Don’t worry, the fabric would be held taut thanks to the aluminum rods, thus allowing a significant amount of weight to be placed atop the surface. For another design, I begin to place value within unused materials by giving them a new life and purpose. There are so many times that I come across piles and piles of unwanted items, and it’s amazing what kinds of things we can discover at dumpsters. That’s why I designed this wall-mounted shelf that would be made of reclaimed materials. Whether it be a license plate or a bundle of rulers, it can be customized to be used with whatever products are found. I thought this idea was efficient in transforming unwanted materials into something more desirable, but I realized that the idea in itself seems too ‘easy’. It really seems like a generic, sustainable design of a generic wall mounted shelf, so I continued to rummage my brain and came up with more sustainable bookshelf ideations.